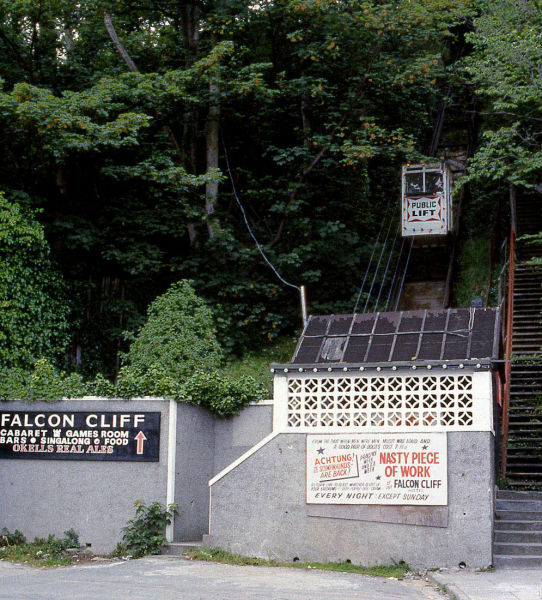 The Falcon Cliff Hotel Lift. 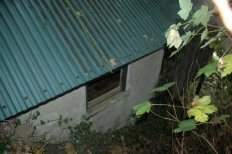 A most interesting little line with a long history. The Falcon Cliff Hotel stands some 250 feet above the Central Promenade in Douglas. 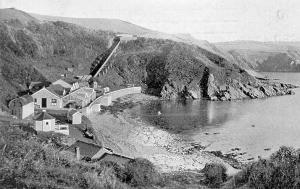 In 1887 a Cliff Lift was built to give better access to the hotel. 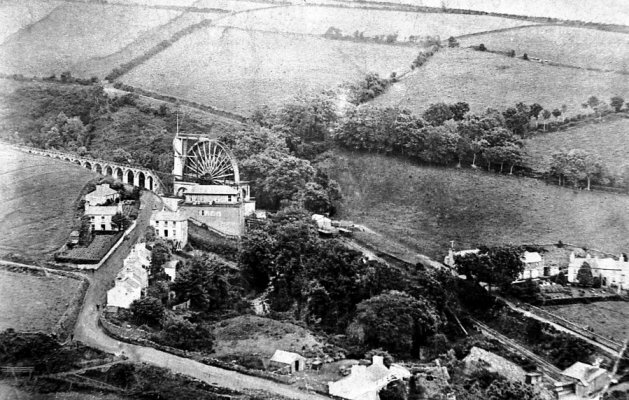 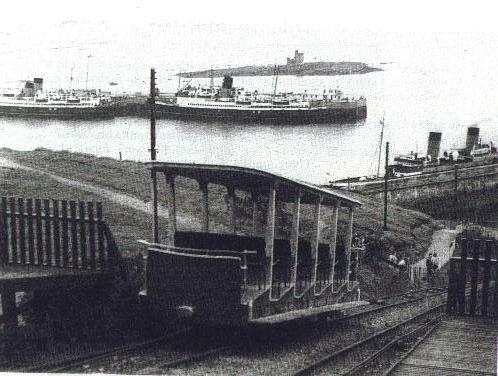 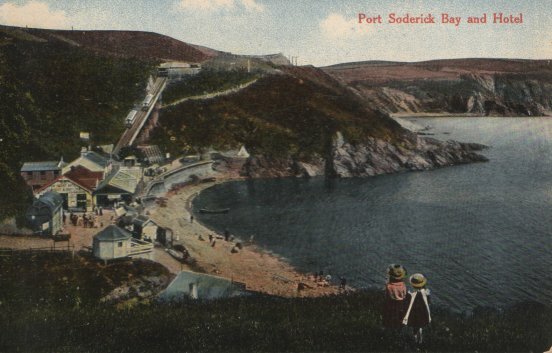 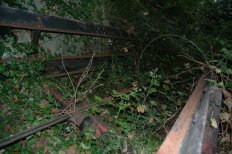 The double-track 4' 0" gauge Incline Railway was dismantled in 1896 and re-erected at Port Soderick, which closed in 1939. 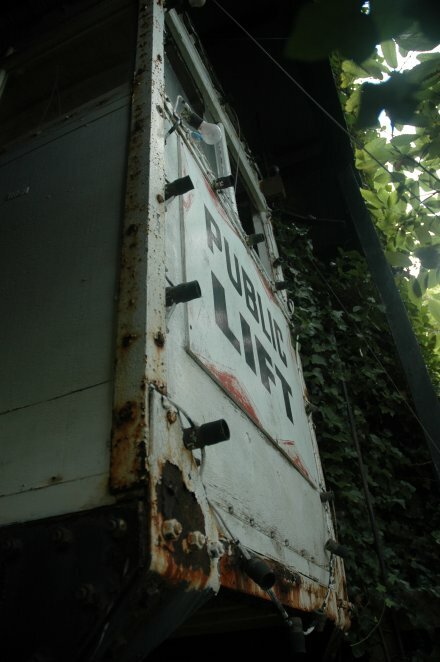 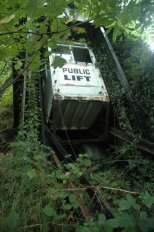 A second Public-Lift was built in 1927 by William Wadsworth Ltd. (rebuilt in 1937 and converted from D.C. to A.C. operation in 1950). 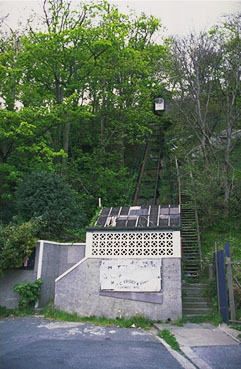 The Cliff Lift is an elevator with the passenger cabin being propelled in a steel channel on an incline of 60 degrees. 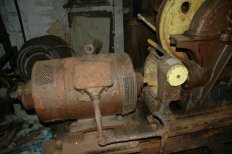 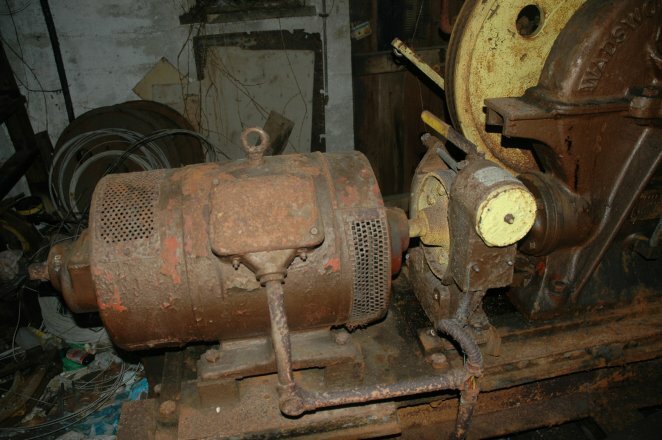 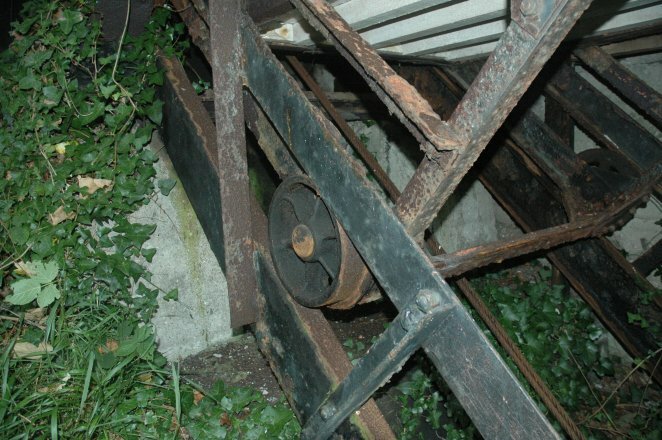 It has been out of use for a number of years (since 1990) now but everything is still there today. The line is still present and complete, but in a poor state, access is difficult. 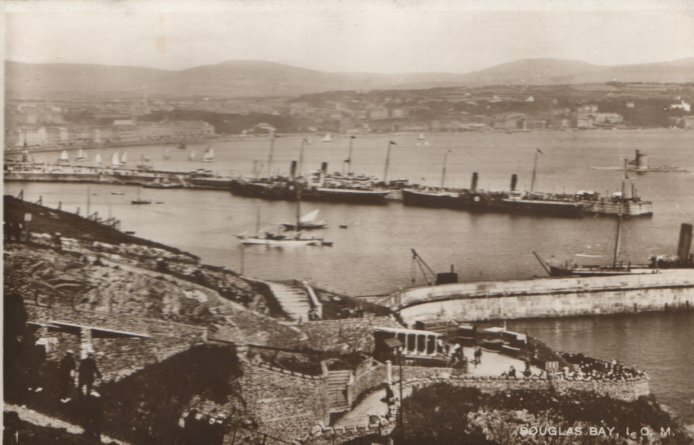 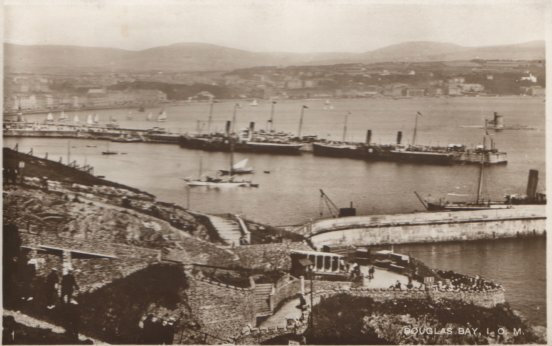 The line was constructed to connect the Pier where Steamers docked and the Douglas Southern Tramway. 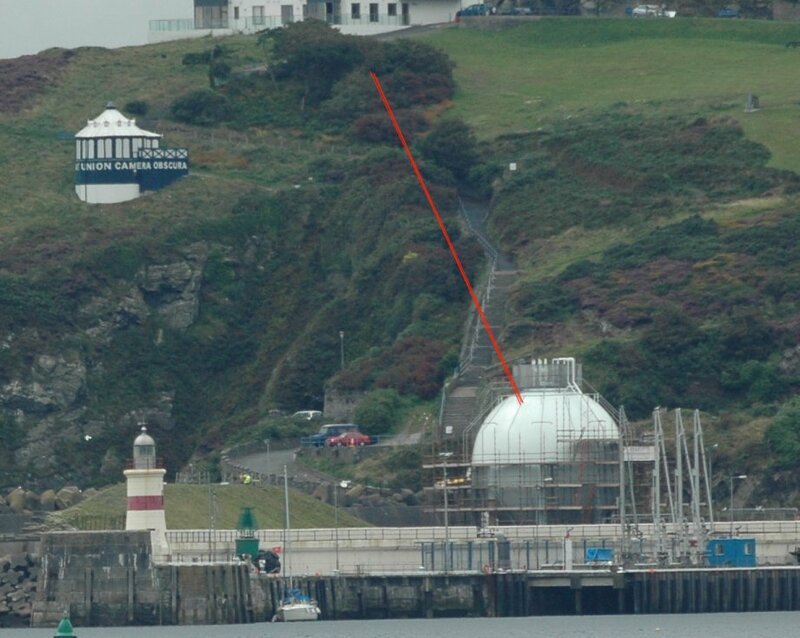 The line was unusual in having a bend about 1/3 of the way up. The line closed during the war but reopened in 1949 but had to close in 1954. 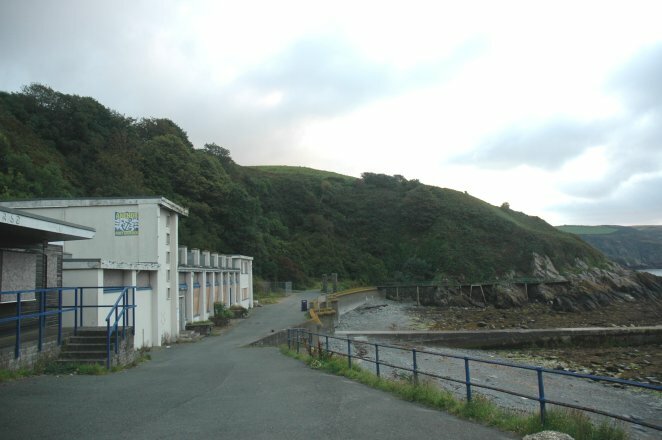 The closure was due to competition with a bus service. 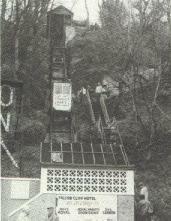 Little now remains. 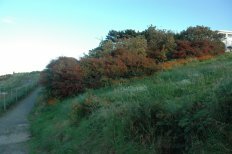 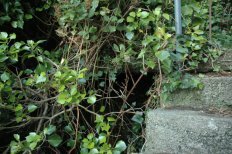 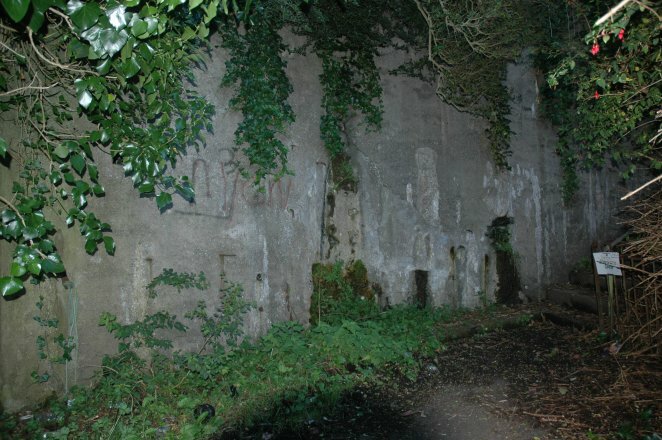 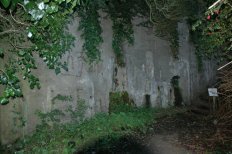 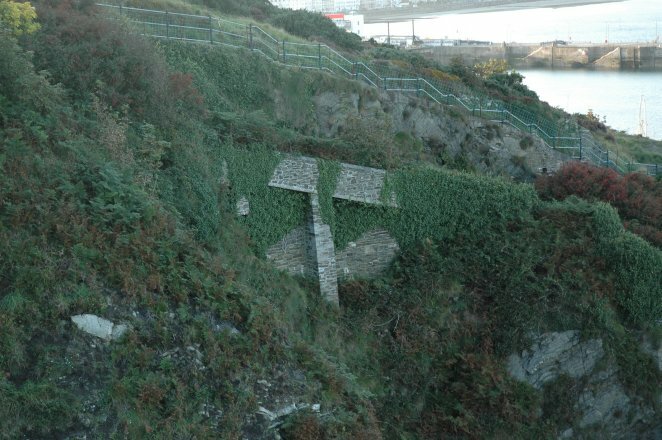 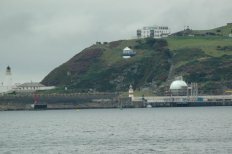 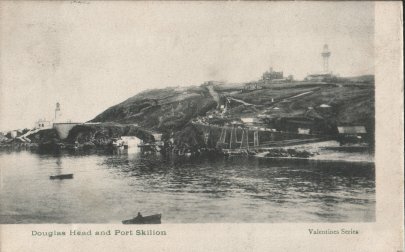 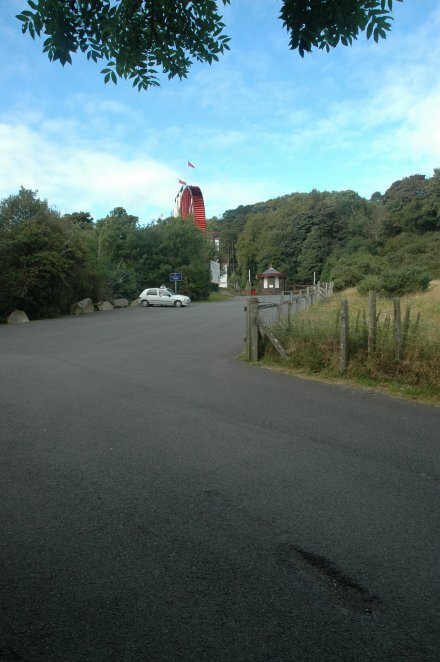 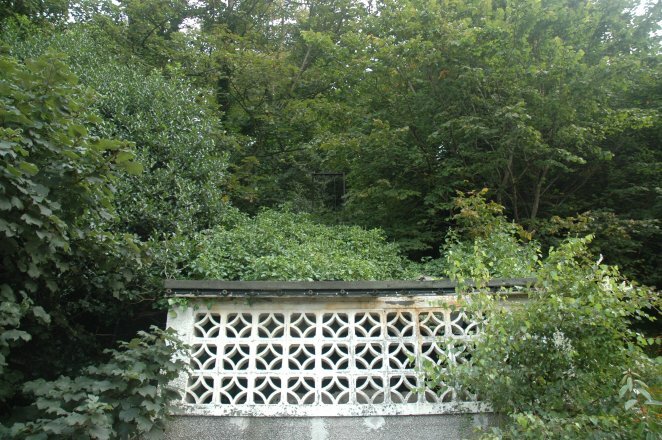 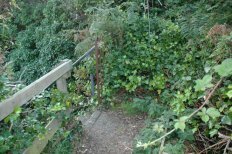 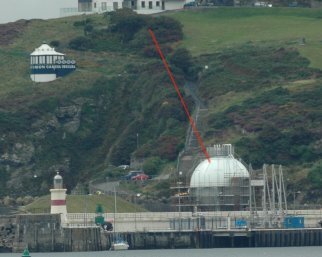 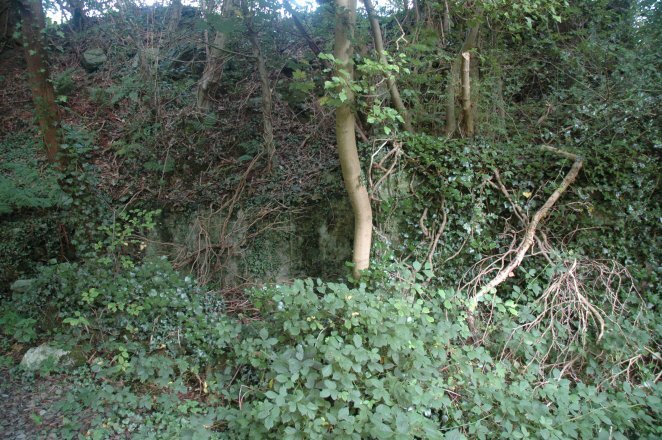 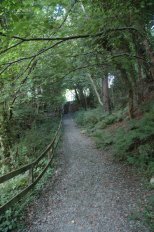 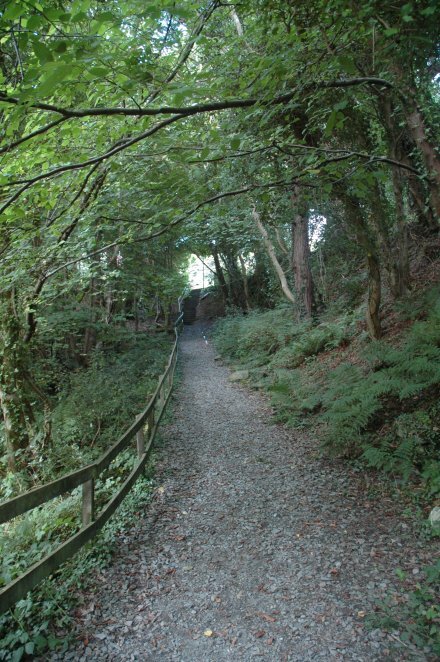 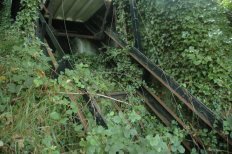 There is a surviving support visible from near the Obscura, the top station is now just a load of bushes, but the route can just be seen from the ferry or the other side of the bay. The line was essentially the same line dismanteled from the Falcon Lift, although extended a little. 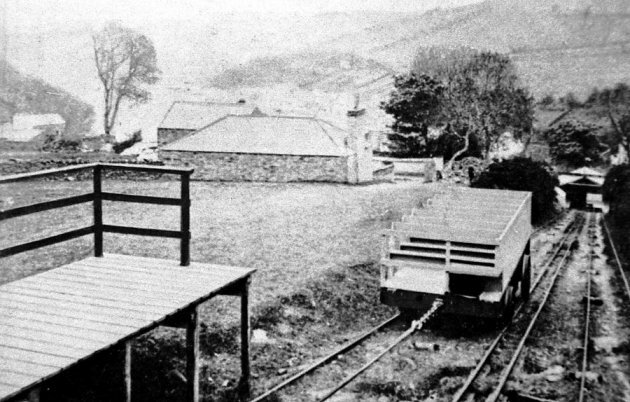 The carriages were inclined to the same gradient as the line. 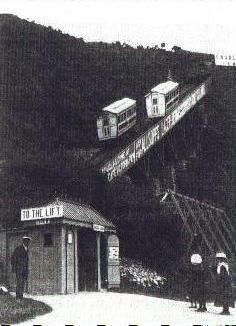 The line was closed in 1939, and dismanteled between 1947 and 1949. 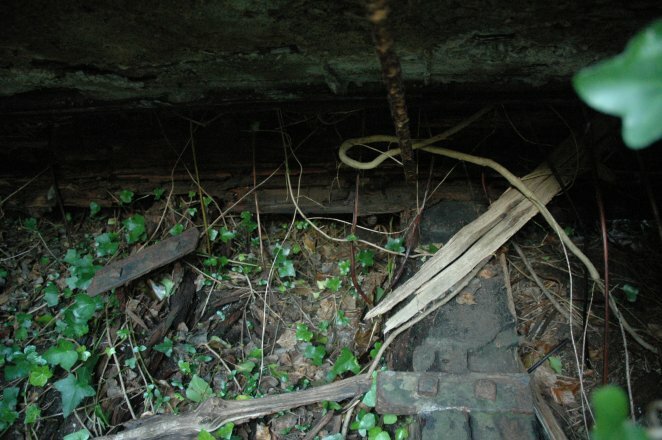 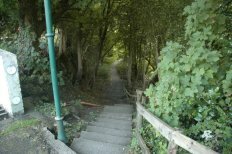 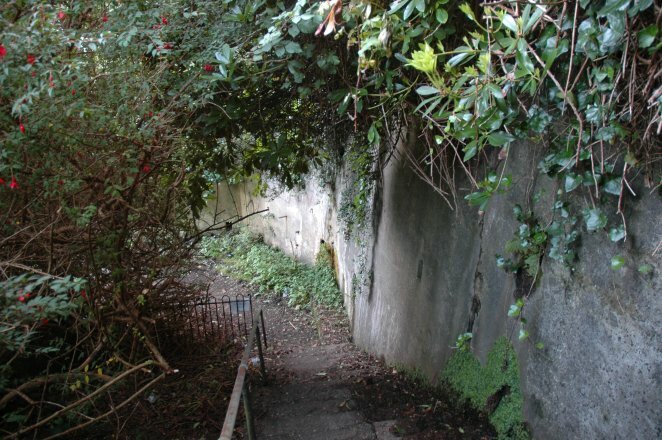 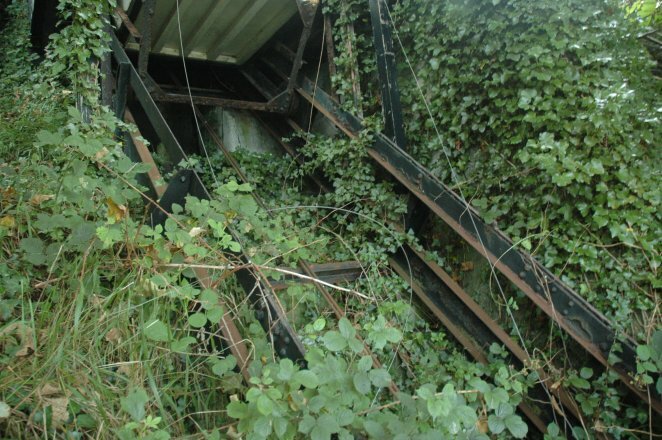 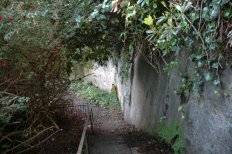 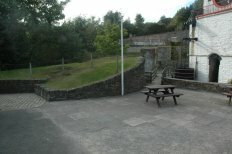 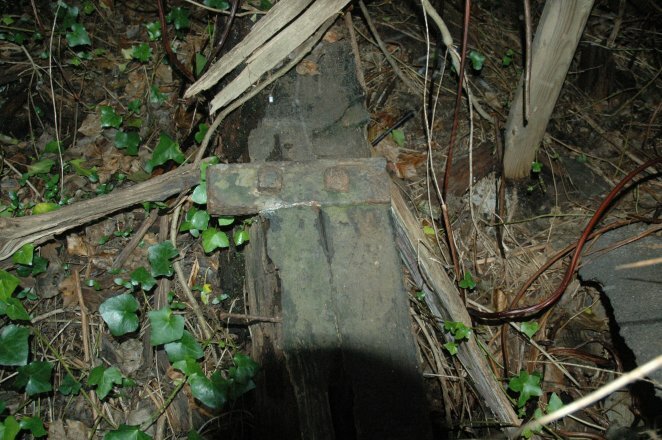 Not much survives, the route can be traced as much of it is now a footpath, some of the lower station is still present, and a few remnents of the upper station is present at the top of the steps, along with some of the original fencing, but under the slab here some of the rail sleepers can be seen. Number of Cars 2 Open to Public ? 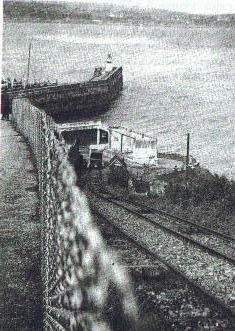 This line struggled to make money during its life and was closed in 1906. There were two cars of twenty seats, little of the railway survives today. 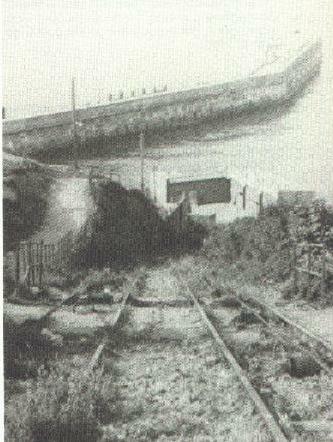 It was a classic water counterbalanced railway, but little else is known about the railway. 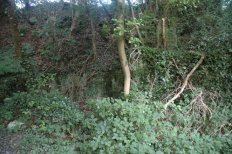 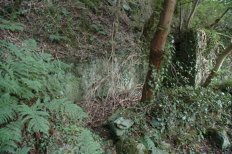 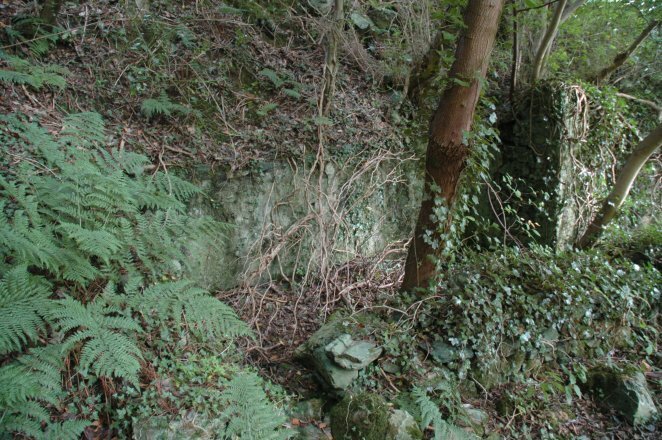 Not much survives, a little of the lower station, the route of some of the railway can be seen.